What Is Homo Naledi, The Ancient Human Species Unexpectedly Found In The Back Of A South African Cave? Scientists have discovered 15 partial skeletons of a new, human-like species, in the biggest discovery of its kind in South Africa. The researchers found the skeletons in a burial chamber deep in a cave system. In late 2013, an amateur caver showed up to Lee Berger's house with a fossil jawbone in hand. After looking it over, Berger and the caver broke out a few beers and called National Geographic, according to CNN. 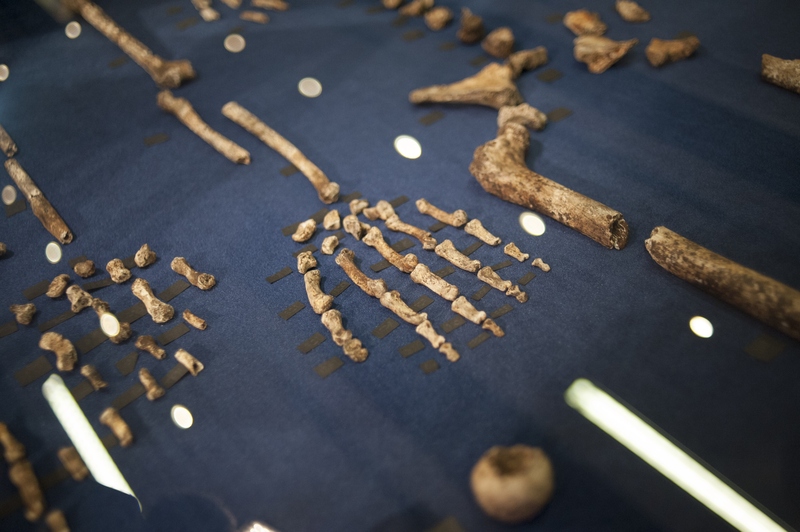 Berger, an American paleoanthropologist and professor at the University of the Witwatersrand in Johannesburg, South Africa, told CNN that when the first remains of the new human-like species, called the Homo naledi, were found in Rising Star Cave, his team had no idea that it would change ideas about our human ancestors. The species not only appears to be a human relative, but it also appears to have buried its dead, which is a behavior that scientists previously thought was limited only to humans, according to CNN. We'd gone in with the idea of recovering one fossil. That turned into multiple fossils. That turned into the discovery of multiple skeletons and multiple individuals. And so by the end of that remarkable 21-day experience, we had discovered the largest assemblage of fossil human relatives ever discovered in the history of the continent of Africa. That was an extraordinary experience. The name of the species, naledi, means "star" in the local Sesotho language and refers to the cave where the bones were discovered, according to The New York Times. Altogether, Berger said his team found more than 1,550 fossil elements, with every bone in the body represented multiple times, making the naledi the "best-known fossil member of our lineage," according to the The New York Times. What we are seeing is more and more species of creatures that suggests that nature was experimenting with how to evolve humans, thus giving rise to several different types of human-like creatures originating in parallel in different parts of Africa. Only one line eventually survived to give rise to us. We are going to know when its children were weaned, when they were born, how they developed, the speed at which they developed, the difference between males and females at every developmental stage from infancy, to childhood to teens to how they aged and how they died.